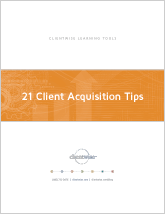 Want to increase the wealth of your clients in 2014? Want to increase your own wealth? For good measure, how about increasing the financial satisfaction of your clients? Yours too, in fact. Each quarter, Russell Market Research compiles the Financial Professional Outlook, the collected opinions of financial advisors from national, regional, and independent advisory firms on topics of market sentiment, advisor/investor conversations, and investor behavior.